To that end, Microsoft Dynamics NAV 2016 offers new mobility, business insight, and cloud services features as well as deeper interoperability with Microsoft Azure, Microsoft Dynamics CRM and Office 365 – all geared to small and midsize businesses. Workflow - Workflow enables you to design and execute business processes within the application system. The principal of being able to monitor an event anywhere within NAV and then trigger an activity (i.e. ‘if'...‘then') means that it is now a truly proactive, rather than simply reactive, business solution. Word Document Reporting - The reporting functionality has been greatly improved by adding support for defining report layouts in Word, and enabling end users to create custom RLDC and Word layouts for their reports. These two features make it easier to create visually pleasing document reports with the ability to add or remove fields, and change fonts or logos. And even better, each ‘Company’ in NAV can have its own Company-specific layout. Enhanced Excel Integration for Ad-hoc Reporting - New reporting enhancements include a new Microsoft Excel Add-in for ad hoc reporting that is an extension to the existing functionality in Microsoft Dynamics NAV. Produce Excel-based reports that use Microsoft Dynamics NAV pages as data sources. Create PivotTables and reports. Refresh the data in your Excel report to reflect updates that are made in NAV. Design once, refresh when needed - saving you time. Office 365 Integration and Single Sign On - Microsoft Dynamics NAV provides interoperability with Office 365, which enables customers to drill down, analyze, share and collaborate with peers. With new usability enhancements that make their solution easier and more familiar to use, your staff will enjoy working seemingly and effortlessly across all applications. Payroll Validation - The payroll validation functionality has been greatly increased with the newest version of NAV 2016 and now can address a number of additional potential validation issues. Report Scheduling - Get ahead of your deadlines. Enhance productivity by batch creating and scheduling reports to run on the server. This allows users to focus on a batch task, without needing to enter and exit the process at a specific time. Reports will be bundled in an inbox on the respective Role Center for easy review and monitoring. Standardized Reports - Configurable standard Accounts Payable and Payroll reports reduce cost of customizations and upgrades. We now also have standard PO, credit memo, and sales invoice. Deployment Flexibility - With new cloud deployment and Web Client capabilities, Microsoft Dynamics NAV 2016 opens up new possibilities and opportunities for your organization. It allows you to present your data anywhere, anytime. Web Client can be accessed by almost any device or tablet which gives you the freedom to present your data on these devices anywhere your business may take you. OCR - From PDF or image files representing incoming documents, you can use the OCR service (Optical Character Recognition) to generate electronic documents that can then be converted to document records, like for electronic PEPPOL documents. 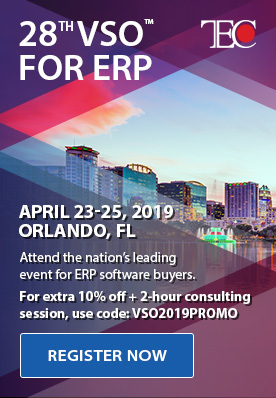 The external files can then be attached to their related document in Microsoft Dynamics NAV at any process stage, including to posted documents and to the resulting vendor, customer, and general ledger entries. 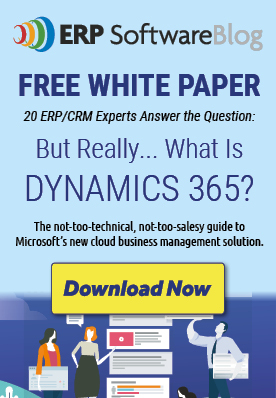 For more information on Dynamics NAV 2016 and how it can improve your organization’s operations, contact us today.